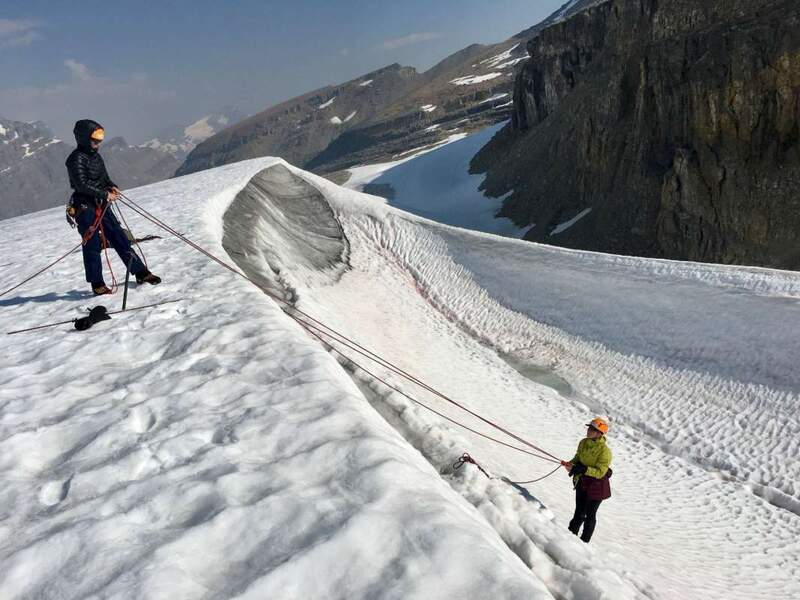 Maybe the best thing you need to know about Yamnuska’s Women’s Intro to Mountaineering tour is that “no prior mountaineering experience is needed.” Yamnuska is one of Canada’s preeminent mountaineering tour operators, with a solid track record of responsible itineraries, and expert mountaineering/ice-trekking know-how. In short, if you’ve ever wanted to mountaineer and ice-trek but have no idea how to begin, this six-day tour/course for women only is definitely a great option! Just to be in the environment of the spectacular Canadian Rockies! 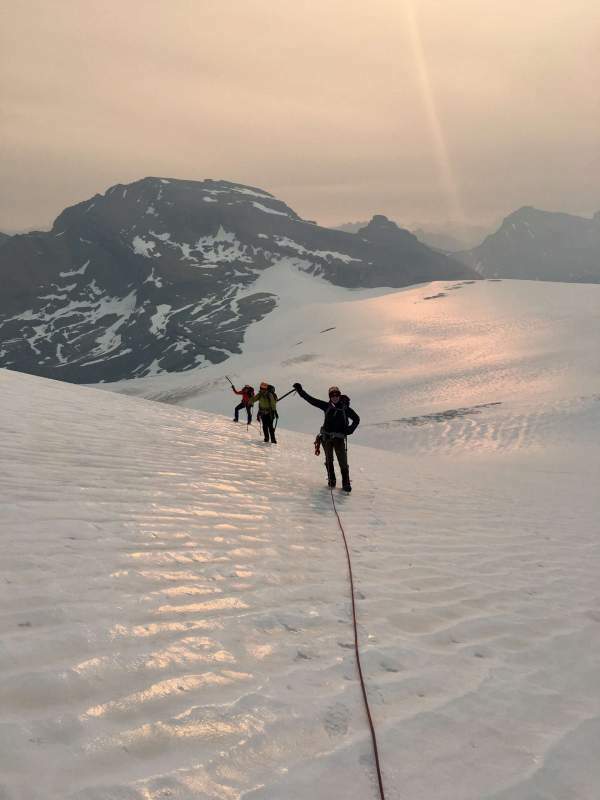 Lead and taught by “female Yam Guides,” this tour is based out of Bow Hut in Banff National Park on the famed Wapta Icefields, and will appeal to those who want to learn mountaineering and ice-trekking skills in a really fun, adventurous, collaborative but challenging way. You will work as a team, learning with and from each other. And in a one of the planet’s most spectacular environments: Alberta and the Canadian Rocky Mountains, with its views of the snowcapped peaks, wide-open skies, glacial and rugged topography. “The glacier and surrounding peaks will be our classroom,” says Yamnuska. Does it get much better than that?! The Wapta Icefields of Alberta: totally doable! Yet likely the coolest thing about this tour is how Yamnuska will expect your very active—not passive—and interactive participation! As a team you lead the expedition, including route planning and involvement in most decisions over the six days. Food, hut accommodations, and group/technical gear is provided. Although you don’t need ice-trekking/mountaineering experience and the peaks you will trek up are considered “moderate” in terms of challenge, you must be “hiking fit” and healthy overall. 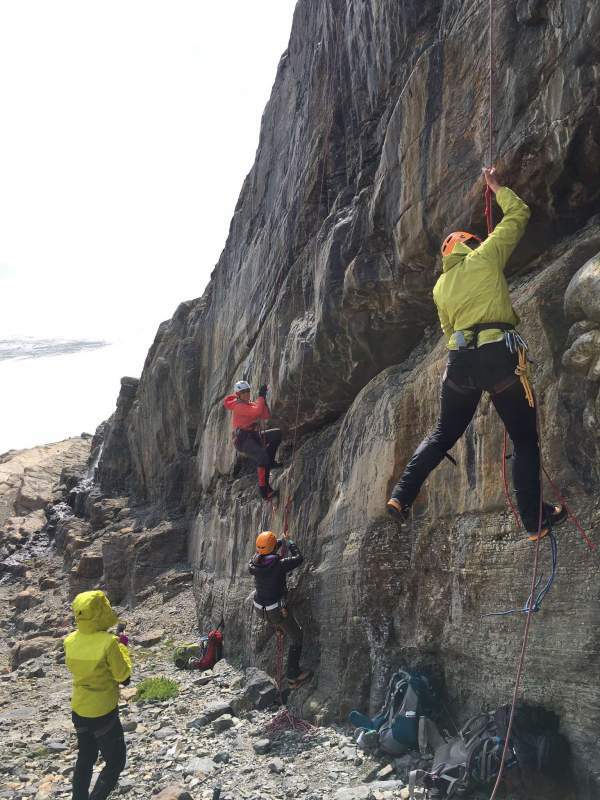 A really great option, if want to learn to climb to the not-quite, but-certainly-just-as-satisfying, top of the world.